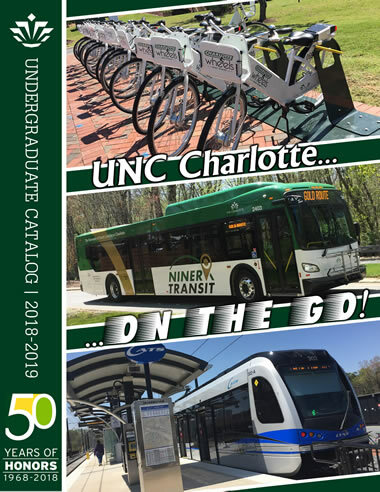 The University of North Carolina at Charlotte Undergraduate Catalog (hereby referred to as the “Catalog”) is the official source of the University’s academic programs and courses. The Catalog should be used as a guide, in conjuction with an academic advisor, in planning a course of study and in meeting requirements for graduation. 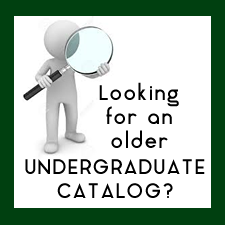 The UNC Charlotte Undergraduate Catalog is not an irrevocable contract. Regulations published in it are subject to change by the University at any time without notice. University regulations are policy statements to guide students, faculty, and administrative officers in achieving the goals of the institution. Necessary interpretations of these policies will be made by the appropriate authorities with the interest of the students and the institution in mind. Students are encouraged to consult an advisor if they have questions about the application of any policy.